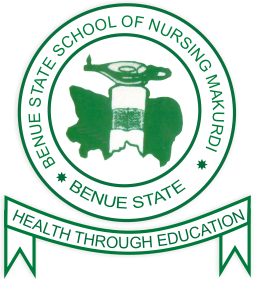 Benue State School of Nursing Makurdi Oral and Written Entrance Examination / Interview Screening Dates, Time and Venues for 2018/2019 Academic Session. This is to inform the general public and all applicants of the Benue State School of Nursing Makurdi that the Oral and Written Entrance Examination / Interview Date for the 2018/2019 academic session has been announced. Benue State School of Nursing Makurdi Oral and Written Entrance Examination / Interview Date is scheduled to commence on 27th August - 3rd September, 2018. 1. Day One: Monday 27th August, 2018. 2. Day Two: Tuesday 28th August, 2018. 3. Day Three: Wednesday 29th August, 2018. 4. Day Four: Thursday 30th August, 2018. 5. Day Five: Friday 31st August, 2018. 6. Monday 3rd September, 2018. Time of Interview: 8:am Daily. 5. Aptitude Test Admittance Slip. NOTE: Candidates should also come along with their scratch cards for verification of their WAEC/NECO results.